Adorn her home with something special! 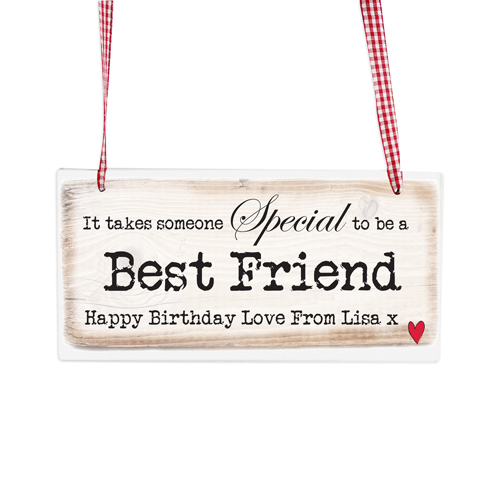 Personalise this Someone Special Wooden Sign with any name or role up to 12 characters in the middle of the sign and a message at the bottom of up to 50 characters. 'It takes someone special to be a' will be fixed text on this item. Personalise with any name or role up to 12 characters in the middle of the sign and a message at the bottom of up to 50 characters.